Colorado may boast over 300 days of sunshine a year, but that doesn't mean we don't have our fair share of cold and snowy weather! This winter, shake off the cabin fever and try out a few of our favorite local family-friendly experiences. Official home of USA Swimming and USA Shooting and offering practice facilities for many more teams, the campus offers 1-hour tours six days a week. Come see where our nation's best train! Click here for more info. This 20,000 square foot museum is only a short drive up the road to Woodland Park. View fossils and skeletons of marine reptiles, pterosaurs and dinosaurs from the Cretaceous Period in North America. Tours are included with admission! Click here for more info. Located in Downtown Colorado Springs in the restored 1903 El Paso County Courthouse, the Pioneer Museum maintains collections relevant to our region's past, present and future. See the largest collection of landscape art in the state, Van Briggle Pottery, and exhibitions on our Native American heritage and mining history. Free! Click here for more info. Located within the Colorado Springs Fire Department Headquarters, the Lester Williams Fire Museum boasts 45,000 square feet of fire-fighting memorabilia. Dr. Williams amassed a large collection of fire fighting memorabilia over his lifetime and the collection was donated to the CSFD. Free! Click here for more info. The artist's website describes it best, "Located in the historic district of Old Colorado City, Magic Town is a 1/6th scale miniaturized urban neighborhood, complete with dozens of handcrafted buildings, alleyways, and sidewalk scenes that transform before your very eyes. As you look down an alleyway and see the lights dim, notice how the sculptures seem to have moved and an entire new scene magically appears. Holograms heckle you as you pass by, and other visual and sound effects work to transport you into the stories that are revealed in each window and around every corner." Click here for more info. Teach kids all about money at this hands-on museum by the American Numismatic Association. Three galleries display rare pieces and share history from around the world. Don't miss the new interactive "kids zone." Free on the 3rd Saturday of each month. Click here for more info. 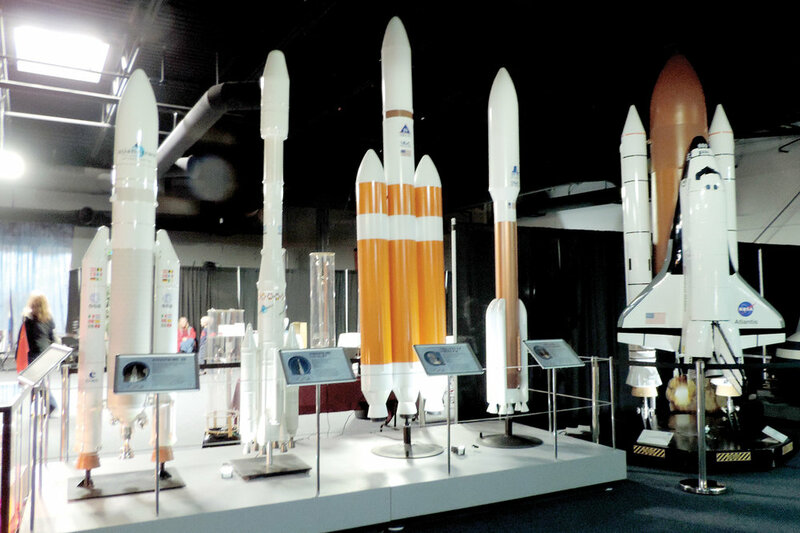 Experience exhibits and interactive displays of our solar system, planets, space missions, weather, geography and more at the region's largest interactive space museum. Visit their website for special event info - it seems they always have something going on! Click here for more info. Lovingly referred to as the "Bug Museum," this unique attraction boasts over 7,000 species of crawling, flying and creeping creatures! From beetles to butterflies, deadly scorpions to spiders, James May collected insects for over 80 years around the globe. It's a must-see. Click here for more info. Even if you don't want to play, you'll have fun gawking at the antique games from Skeeball to Pinball. No website for this one - take I-25 exit 141 (Hwy 24) west to the Manitou exit, west on Manitou Avenue to the 900 block. Have fun! It's a true preservation of what a western ghost town looked like in our area in the 1800s and 1900s - a historical, educational and fascinating stop! An indoor "boardwalk" connects various shops, saloons and homes. (Come back in the summer to pan for gold!) Click here for more info.